The Christian Lawyer is published several times each year. It covers CLS' four major ministries: Attorneys, Law Students, Advocacy, and Legal Aid. It also provides helpful resources for learning about and providing spiritual ministry within the legal community. The Spring 2017 issue of The Christian Lawyer is below. Click on the magazine to see a pdf of the issue. The Fall 2016 issue of The Christian Lawyer is below. Click on the magazine to see a pdf of the issue. 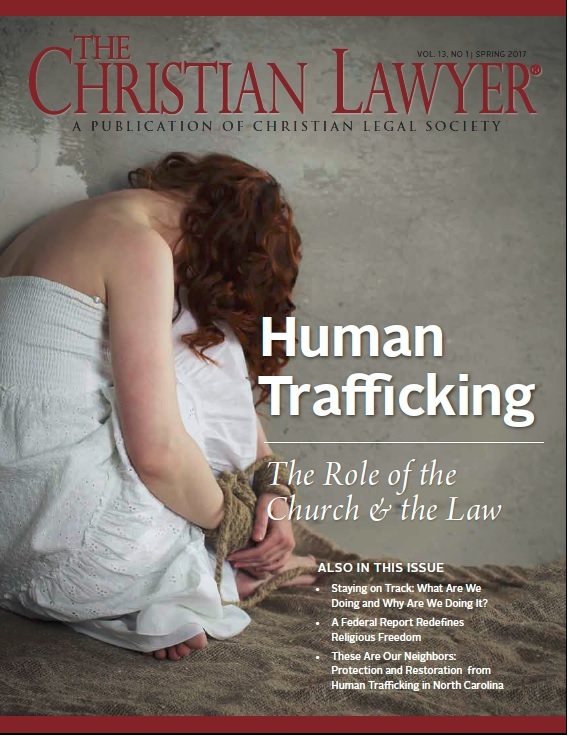 The Spring 2016 issue of The Christian Lawyer is below. Click on the magazine to see a pdf of the issue. Click here to read the article: On Being Homeless: From the Law Firm to the Streets to the Law Firm Again. 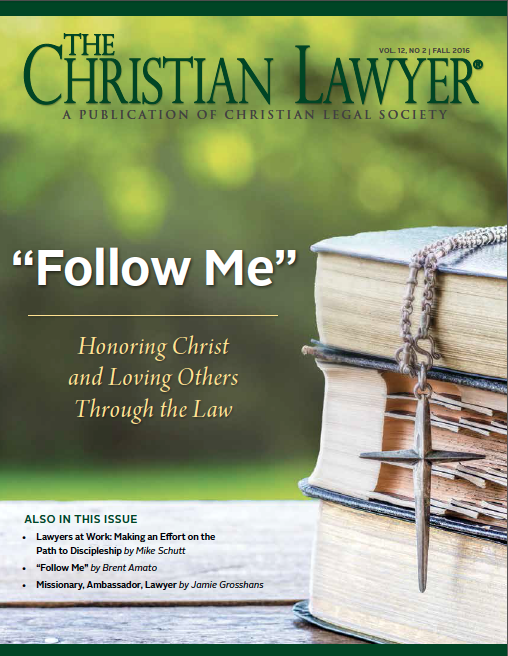 We are pleased to offer the archives of The Christian Lawyer magazine. 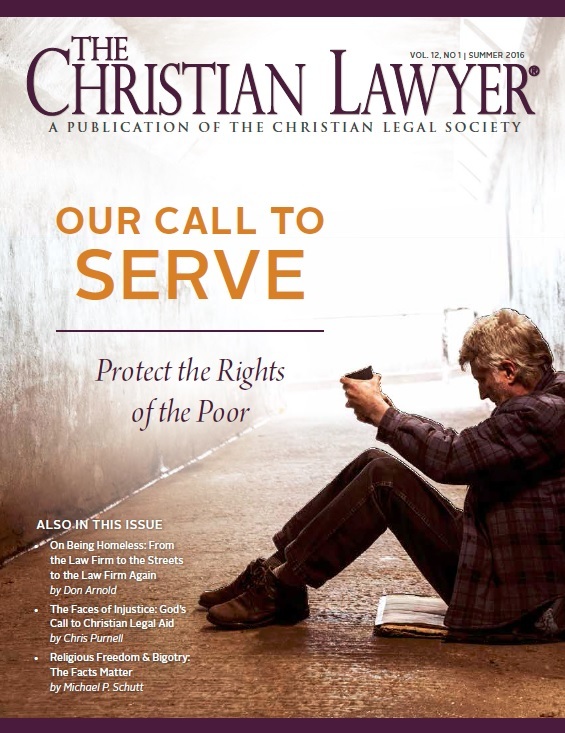 These older issues of The Christian Lawyer magazine covers a variety of topics, many of which encompass the moral and practical issues facing today's Christian lawyers. The issues have been organized by the year they were published.